Amelia Shaw cocktail bar and function space sits atop Brunswick’s Retreat Hotel. Named after the hotels first 1842 female licensee, the bar continues in this spirited tradition but takes its design cues from a little later in history, namely American West Coast Deco with some constructivist and contemporary twists. Amelia Shaw cocktail bar and function space has regular operating hours but we strongly recommend that you make reservations ahead of time as there is limited capacity and if you're planning on dropping in, keep an eye on our Facebook page in case we are booked out for a function https://www.facebook.com/ameliashawbar/. Amelia Shaw can host parties in our beautiful private spaces; the Geometric Room hosts up to 20 people and The Salon caters for up to 60. We're also happy to offer a full venue hire for up to 100-120 people. We regularly throw parties for our guests so we know how to take the stress out of arranging your event. Functions can be hosted 7 days midday until 1am Sunday - Thursday, or until 2am Fridays and Saturdays. 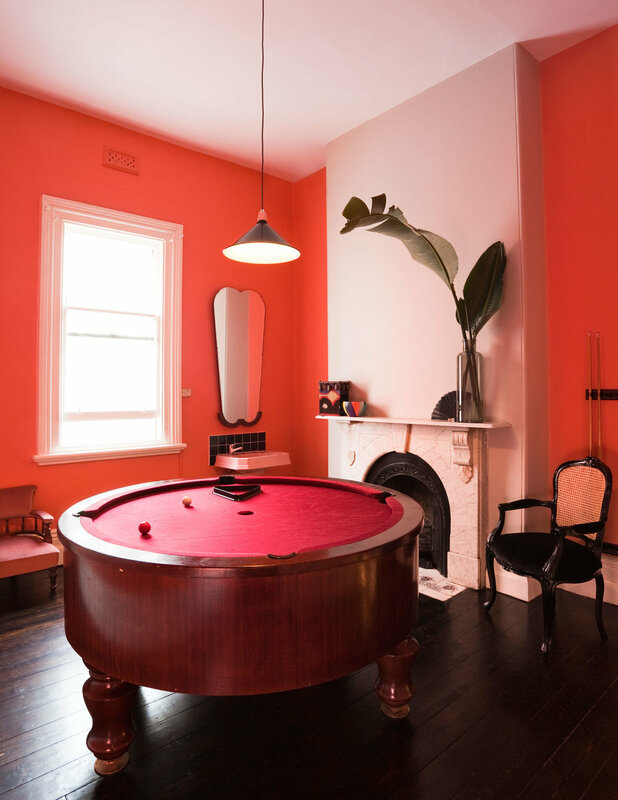 We can host your party or event any day or night of the week for groups of up to 120 people and are conveniently located for businesses located in the inner North of Melbourne and Brunswick area. Stand-up events are our specialty and we can cater to any budget with a good selection of beers, wines, cocktails, catering and entertainment options. You can book out the entire space to yourselves and let your hair down like it's your own private mansion! Email info@ameliashawbar.com.au or call 0412 907 847 with your desired date and approximate number of guests and we'll give you a buzz with availability and party options. Thank you! Will be in touch shortly.